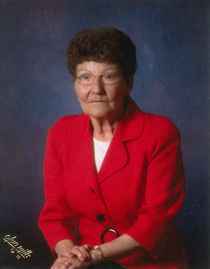 Obituary for DOROTHY RUTH (ROBERSON) PICKETT | Whitwell Memorial Funeral Home, Inc.
Pickett, Dorothy, Dorothy Ruth “Dot” Pickett age 78 of Whitwell passed away Thursday, November 29, 2018. She was preceded in death by her parents, Walter & Nettia Roberson; sisters, Ora Mae Guyton, Bertha Collins, Virginia Wiley, Ruby Aultman. Mrs. Pickett was a member of the First Baptist Church of Whitwell and volunteered as a Pink Lady at Grandview Hospital for several years. Those left to cherish her memories are her husband, Clarence Pickett; two daughters, Teresa Thomas of Whitwell and Tammy Johnson of Hixson; sister, Elizabeth Peacock of Sequatchie; brothers, Walter “Jr.” Roberson of Atlanta, James “Jim” Roberson of Whitwell; four grandchildren, Anthony Ogden, Rebecca Hodge, Stacey Thomas, Casey Thomas; four great grandchildren, Serenity Thomas, Aiden & Parker Ogden, & Georgina Thomas. Family will receive friends 2-5PM and 7-9PM, Sunday, December 2, 2018. Funeral services will be at 1PM, Monday, December 3, 2018 in the funeral home chapel with Rev. Jerry Massey officiating. Interment at White Cemetery. In Lieu of flowers, the family asks that your expression of love be a donation to the White-Pickett Memorial Cemetery Fund in order to care for and maintain her final resting place.